Just for the feminine touch in you bedroom or horse barn. 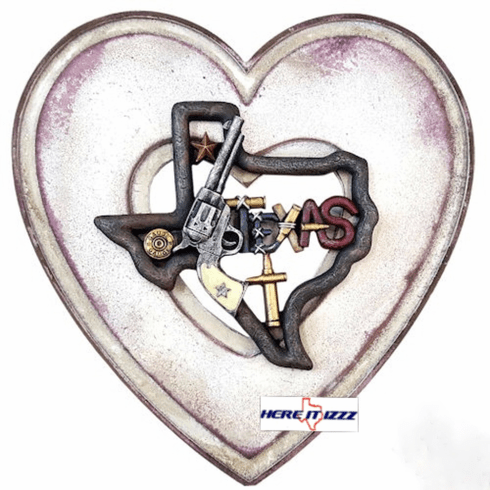 A beautiful three dimensional Texas wall sign. The State of Texas designed with a Cowgirl in mind. Pink heart with Pistols, ammo, bullets and stars.